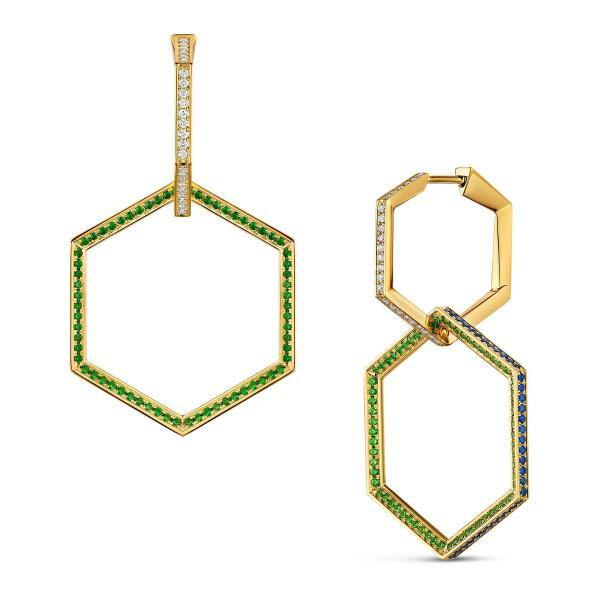 The Chapiteau de Coloré show-stopping earrings, set in luxuriant 18ct yellow gold. Graceful and fine, but abundant with glimmering stones and vivid colour, two hexagonal frames are adorned with a cocktail of sapphires, tourmaline and diamonds, their gentle movement capturing every glimmer of light. The second, larger hexagon can be detached for a simpler look. The Chapiteau de Coloré is available with a variety of precious stones set in platinum or 18ct white, rose or yellow gold.